Sow in the regular place outside, when the soil reaches at least 10 °C (50 °F), or cultivate/purchase plants. Plant several times to have fresh corncobs regularly. Don’t plant near the common corn/maize, as cross pollination might reduce its sweetness. 70 cm (27 in) between rows and at least 10 cm (4 in) between plants in a row. Sow outside in the regular place from the second half of April till the end of July; and beginning of April for seedlings. It germinates in about a week. In fall, fertilize the soil well with barn manure. Additionally, make nettle mulch and plant some legumes near. It has shallow roots and needs watering in drought. When the upper 5 cm (2 in) of soil are dry, water 15 cm (6 in) deep. Cover the soil with organic mulch or low plants to keep moisture in. Western corn rootworm and European corn borer. Beneficial: a long enough rotation period (do not plant in the same place for 2 years); planting tagetes near. Tear away young corncobs regularly, when needed. 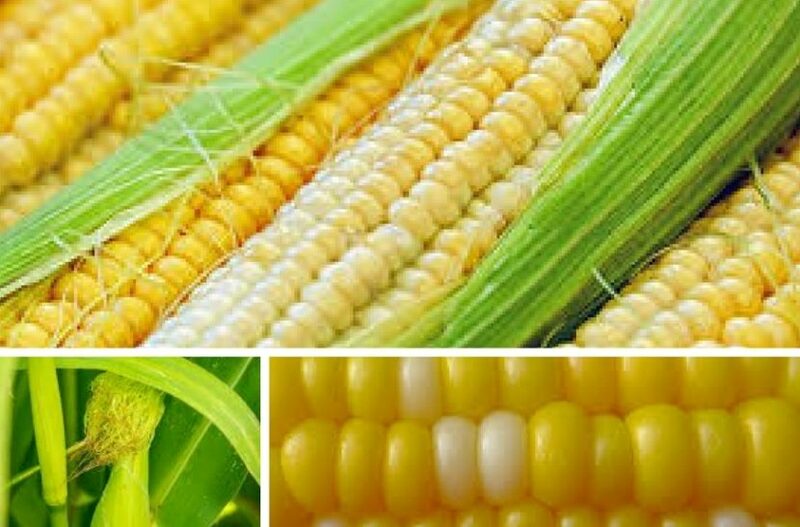 They can be used even when the silk on the corncob dries up partially, but is still greenish at the cob. Sweet corn can be frozen – raw or cooked. Eat raw, cooked or baked corncobs, when the kernels are still soft; when they get dry, grind into flour or grits. It contains sugars, starch, proteins and B vitamins. Till the soil around several times and cover partially with it to help it develop additional roots. it can also be planted to a pit and covered gradually around the stem with soil. It needs a lot of nitrogen. It can be planted with pole beans (three weeks earlier) for support and nitrogen. It is a variety of common maize that has a lot of sugar in its young, milky kernels.